How can businesses grow from a spare room to global predominance? Paul Lindley knows. His former home-based start-up is now an international super-brand. 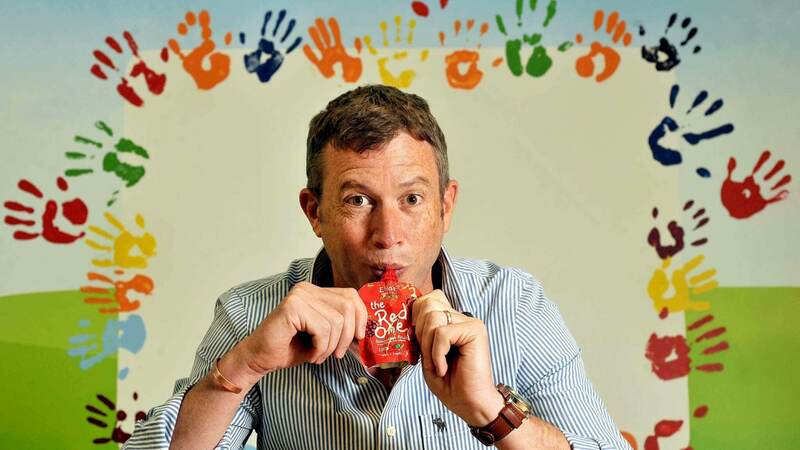 Paul Lindley is the founder of British baby food brand Ella’s Kitchen, which he grew from start-up into a renowned brand sold across markets worldwide. 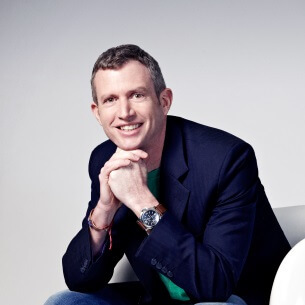 This year, he launched natural children’s toiletries start-up Paddy’s Bathroom, which is trading in the UK and US. Here he explains how start-ups can go global from the humblest of origins. When my daughter Ella was exploring her first foods, I could see that the supermarkets’ baby food offering had not changed in decades. There was limited nutritious, high quality food that would satisfy parents' needs and none at all using interesting recipes or packaging that would engage all a baby's senses. From what I saw, all the brands were very functional but I couldn't understand why they weren't much more personal – this is how Ella’s started. "I was working out of my kid's playroom on my own for 18 months, probably turning over £2 million"
At the start, I depended on a subtle balance between using gut feel – as a parent – and research, albeit on miniscule budgets, to give me confidence to proceed, before even attempting a financial plan. I was lucky in that, once the Ella’s Kitchen products hit the market, they were instantly successful, consumers loved them. My biggest break was by far when the buyer at Sainsbury's first agreed to stock our products. But building a business took time and hard work and the commitment of a talented team. But you don’t build a business without making a few mistakes. I remained a 'one man band' business for too long. I was working out of my kid's playroom, on my own for 18 months, probably turning over £2 million, but taking all the stress and worries of the challenges of the growing business, which is emotionally draining. Once I worked out that the business was going to work and that there were equally passionate people out there, who were better at managing parts of the business than me, the pressure quickly came back to capable levels. My wife's support was, and always has been, invaluable but the team is something I should have invested in earlier for the benefit of the company – and indeed myself. When it came to selling Ella’s, I recognised that to become a global brand we'd need the support of a like-minded established business to help us, especially as our business was growing so fast in the US. 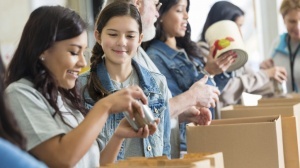 Hain Celestial fitted not only our needs but far more importantly shared the same values. Someone somewhere in the world now eats one of our products more than every half a second of every day! A crucial part of the business has always been its mission. Ella's Kitchen's mission is to improve children's lives through a better relationship with food, and I will continue to help the business, its brand and products to achieve that goal, whilst guiding it to help highlight and then reduce the growing evils of childhood obesity and hunger around the world. I have very simple advice: start with setting out to yourself why you are doing it, then work out how you can be different and then lastly land on what you make. The best businesses think about things in this order, the rest do it the other way round. I started with the mission or purpose of the company, I remembered to think of the consumer and customer first, second and last and I worked out sustainable unique points of difference we could communicate. My advice in financial planning for a start-up business would be do the plan, then half the revenues, double the costs and double the time in which you think you will be paid by customers. Then proceed only if you can still see a way to make the business viable. Equally important is to work with the best people, not the cheapest. Find employees, supply partners and stakeholders who are passionate about why you are doing the business. Have your own sustainable and unique points of difference, make them effective and communicate them. Be absolutely sure why you are setting up the business and what your goals are, then write them down and refer to them constantly as your business grows. And finally, underpin your business with a set of values that guide every decision you make. Construct an extremely conservative business plan – because it won't be by the time forecast become 'actuals', and never forget that ultimately its people that make a business successful, not money. I passionately believe that business can solve many of our society’s problems and as such have recently co-founded a social business with an internationally recognised hip hop musician, ex-child soldier and humanitarian activist, Emmanuel Jal, called The Key is E.
Our business aims to use entertainment, education and entrepreneurialism to entice, engage and empower the younger generation, ultimately using our profits to invest in African entrepreneurs whose businesses socially benefit children. Paul Lindley will be contributing regularly to MH in future on issues of business, enterprise and social causes, so keep 'em peeled.